Jaden Smith is on a love train and most likely has no intention of hopping off any time soon. After declaring his love for his "boyfriend," Justin Bieber, Smith is back on a flattery tip. He slid into Jordyn Wood's comments section to show her some love. Their fans know of their tight friendship, but his comment doesn't come off as totally platonic. Based on the photo available below, we cannot blame the guy either. Jordyn uploaded a fresh-faced selfie to Instagram. Her best friend, Kylie Jenner, alluded to a possible engagement by calling her "Jordyn Jenner." Jaden Smith came through to set the record straight, writing, "Nah Nah Nah It's Jordyn Smith." 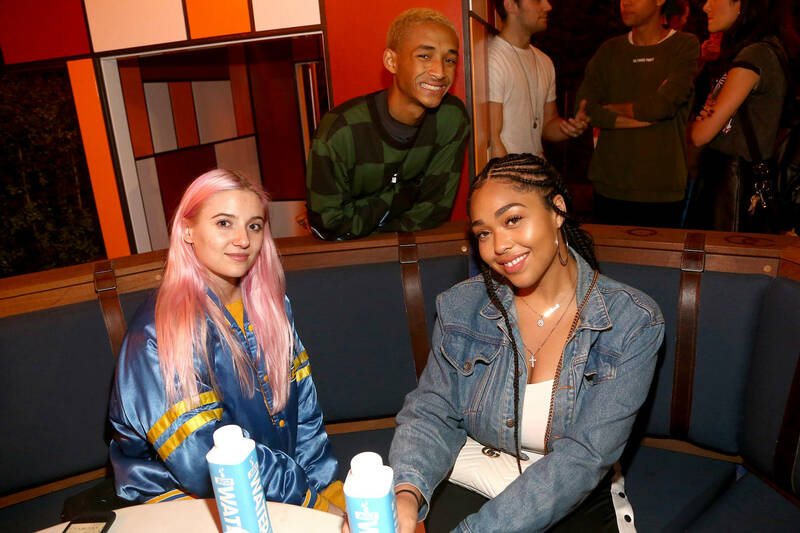 Rumors had swirled around Jaden and Jordyn last year when they were spotted having a really good time hanging out and laughing together as friends. Their connection goes beyond that, however. The pair is quite tight, as both youngins have grown up together. Woods is said to call Will Smith "uncle" even though they are not actually related. These mock proposals are kind of cute and definitely meant in jest, but usually jokes bear some truth. Their connection might continue to evolve and shock us all. Then again, the Jaden/Tyler the Creator duo cannot be topped in terms of surprise.